I’m cooking up an article that I think people will like, but I couldn’t have had it ready for today unless I rushed it and pulled an all-nighter. And I’d rather give what I’m working on the proper attention that it deserves. That said, I didn’t want to leave anyone hanging for Friday content. 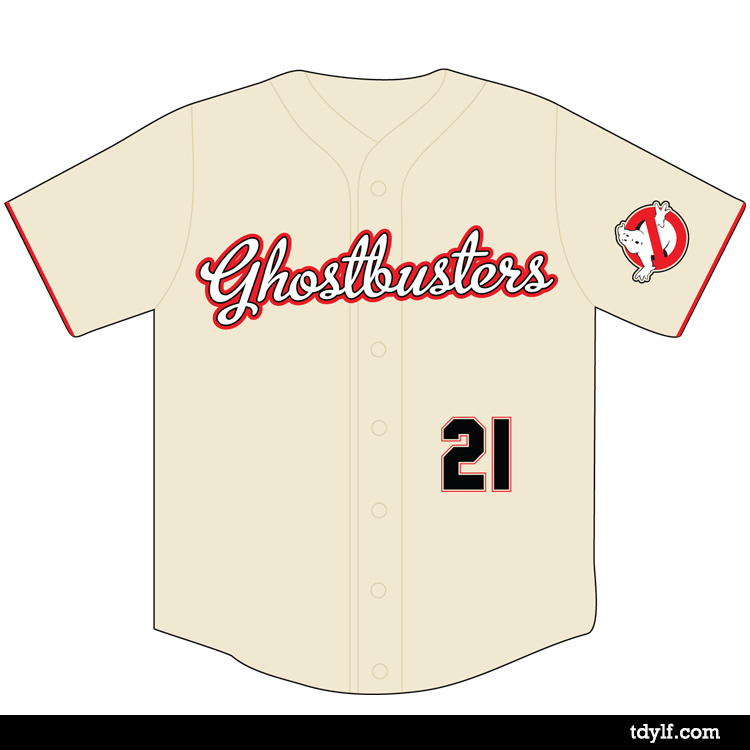 As you may recall, I created baseball jerseys for various directors a few months ago. Eventually, I’d like to revisit that for individual movies. The only one I’ve completed so far is for one of the most fun movies you’ll ever see- Ghostbusters. Well…. bustin’ makes me feel good. You have to share that photo.